Dr. Jain grew up in Gainesville, FL. She received her Bachelor’s degree in Nutrition and her Doctorate of Medicine at the University of Florida. 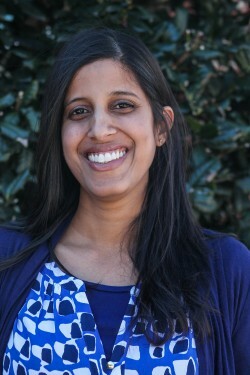 Dr. Jain completed her pediatric residency at the University of North Carolina School of Medicine. Dr. Jain is a Board Certified Pediatrician and a Fellow of the American Academy of Pediatrics. Her clinical interests include Asthma & Allergies, Growth & Nutrition, and Obesity Treatment & Prevention. Dr. Jain joined Wake Forest Pediatric Associates, PLLC in August 2010. Dr. Jain lives in Durham with her husband, 2 children, and a dog. Her hobbies include cooking, reading, crafts, traveling, and being outdoors. She and her husband are both Gators fans!